Consumers in many parts of the Klang Valley and beyond have been clamouring for a taste of Massimo, a new sandwich loaf with wheatgerm that hit the market the minute full page colour advertisements and TV commercials promoting the bread made their appearances about two months ago. So I simply couldn't pass up on the chance to tour the spanking new factory where Massimo loaves and buns were churned out when the invitation came. True to the Italian proverb 'Who has good flour makes goodbread', Massimo by The Italian Baker is good bread made with quality flour and wheat germ; a subsidiary company of FFM (Federal Flour Mills) Berhad. After a sumptuous lunch, Mr Jimmy Chang, General Manager and Director of The Italian Baker Sdn Bhd briefed us on how Massimo was realised after three yearsof intensive R&D. The factory was set-up with the expertise and machinery imported from the US and Italy but the most vital aspect according to Mr Chang is his team's passion in producing good, wholesome bread that everybody can afford. What makes Massimo different is the addition of wheat germ which is known for its nutritious goodness and primarily valued as a natural healthsupplement. However, raw wheat germ needs to be handled, stored and processedproperly before it turns rancid so The Italian Baker's biggest advantage is its close proximity to FFM where a fresh and constant supply of the byproduct is easily available. Currently, the factory produces 10,000 sandwich loaves (equivalent to 7 truckloads) and 23,000 cream rolls per hour. Almost the whole production is mechanically controlled; from the weighing of ingredients to the mixing, panning, baking, cooling, slicing and packing processes. Of course, workers are at hand to supervise the production line to ensure everything's glitch-free and conduct quality control checks at each section. The proof of the pudding of course is in the eating. I was initially unconvinced how different a sandwich loaf with wheat germ can be but once I had a slice of Massimo, I changed my mind. The texture is noticeably firmer compared to existing brands in the market. It also doesn't have that sticky gumminess that causes the bread to stick to the roof of your mouth. As you can see, Massimo can be made into bruschetta or eaten with various spreads such as butter, jam and mashed tuna. It tastes even better toasted which gives the bread a subtle nuttiness. The Duetto buns are not too bad though I would have prefer more filling in them. Truth be told, I completely forgot about my suggestion for Ricetaurant's Best in Grain contest in its Facebook page. Until I received an email informing me that my proposed rice dish have made it into the 10 final dishes! I was invited to attend the food tasting session with a friend where we'd get to sample the shortlisted rice dishes. I haven't been to Ricetaurant before so I thought it'd be great to see what the outlet has to offer. Located next to Canoodling (its sister outlet) at Bangsar Village 2, the new concept rice-centric eatery is part of the BIG Group which also runs Plan B, Bistro42, Tea Forty Two, Ben's General Food Store and Ben's. special daily offerings are listed in a 'report card'! We had a field day savouring all the 10 rice dishes suggested by Ricetaurant's FB fans and then some! Rising to the occasion is delectable Nasi Ulam with Ayam Percik, Salted Egg and Sambal. Once the various local herbs and salted egg was well-tossed with the fluffy rice, one could almost devour the tasty grains on their own. The East Coast-style grilled chicken with its spicy sauce was grilled to such perfection that I was tempted to grab the whole thing and chomped on it! Of course I was biased towards the Chicken, Yam and Dried Prawns with Nam Yue Sauce in Claypot since it was based on my suggestion! A superbly rustic dish that has chunks of tender chicken, browned garlic pips and dried prawns in soft, powdery yam mash served piping hot in claypot. Another surefire winner is Sweet and Sour Fish which tantalised the palate with its enticing tangy sweet nuances. The lightly battered dory was firm and sweet to the bite; complemented by chunky pieces of cucumber, pineapple, red and green capsicums, tomato and onion. This dish is so good that we actually ordered it on our subsequent visit! My other favourite is Inche Kabin - a perennial Nyonya favourite of flavourful marinated fried chicken served with Worchestershire sauce. Crisp and savoury, the meat remains delightfully juicy and moist. Other scrumptious rice offerings in the running include Malaysia's evergreen Nasi Lemak, a peppery and rather unusual Fried Rice with Chinese Olives and Seafood, Hainanese Chicken Rice, Chicken and Long Bean Fried Rice, Teochew Porridge with Condiments, Terriyaki Chicken with Rice and Black Glutinous Rice with Coconut Milk. Ricetaurant is located at 2F-29, Bangsar Village 2, Kuala Lumpur. Call 03-2287-1566 for reservations. Breads are vital to a typical Lebanese meal. Be it wraps, sandwiches, chawarmas, or manakeesh (Lebanese-style pizzas), you'd find at least two or more types of breads are served on every Lebanese dining table whether for breakfast, lunch, dinner or supper. The country's ardent love affair with breads probably stemmed from the French who used to occupy it during World War 1. If you're curious to sample a true Lebanese breakfast or lunch, just pop by Al Amar Express outside Fahrenheit 88. Prices for the outlet's breakfast and lunch sets priced between RM19++ to RM25++ each. Portions are ample enough to satisfy two light eaters. Lebanese cuisine which forms the core basis for many Middle Eastern dishes is heavily influenced by the Ottomans and by virtue of the country's location, also bears subtle Mediterranean nuances. That's why Lebanese cooks often include bulgur (wholegrain wheat which has been boiled, sun-dried and cracked into fine, medium and coarse textures), yoghurt, olive oil, cultured milk and home-made cheeses, olives and legumes in cooking. According to sales & marketing director Ralph Zeidan, Al Amar Express is a casual concept outlet that evolved out of the success of its sister fine-dining restaurant, Al Amar at the Pavilion KL. "Since opening last November, we've managed to draw quite a crowd especially during the evenings and post-clubbing hours," he said. "In fact, supper is now our busiest period." Currently, four lunch sets are available daily featuring a choice of Manakeesh, Lebanese Sandwiches, Baguette Sandwiches or Half Roasted Chicken with three types of side dishes. For our Manakeesh combo, we picked Kafta with Cheese - flavourful minced lamb topped with sliced tomato, pickles and mayo accompanied by Hommos (chickpea mash with sesame seed paste, lemon juice and olive oil), Tabbouleh (fresh parsley and tomato salad with onion, bulgur wheat, spices, olive oil and lemon juice) and a dainty serving of sliced cucumber, tomato, olives and mint. We had a hard time finishing the crisp flat bread pizza as the briny, tangy and slightly gamey offering turned out to be quite substantial together with the assorted accompaniments. I like my Rosto Baguette Sandwich - a hearty portion of rustic but soft rectagular bread filled with sliced roast beef and tomato, fresh shredded lettuce, pickles and mayo. The meat was tender and juicy to the bite which went well with the smokiness of the Baba Ghanoush (pureed grilled eggplant dip) and the refreshing Fattoush (tomato, cucumber, lettuce, rocket, radish and mint in a special sumac dressing). This combo also includes three small pastries (meze) so I chose Spinach Fatayer (triangular fried dough pastries with baby spinach, onion and lemon zest filling), a deep-fried Cheese Roll and Sambousik (fried minced beef puff). The Half Roasted Chicken should go down well if you are partial to poultry. Spiked with sumac (Middle Eastern spices), the chicken is rotisserie-grilled on premise and served with French fries, pickles, garlic sauce and Lebanese bread. In addition, you'd get two types of side dishes which can be Labneh (a sourish Lebanese cream cheese made from strained yoghurt with olive oil) and Khiar Bel Laban (mint and cucumber salad with yoghurt dressing and garlic). Wrapping shredded pieces of the roast chicken up in the handkerchief-thin bread laced with the house garlic sauce, Ralph offered the delicious parcels to us. Each bite bestowed an intriguing explosion of flavours and textures on the palate that left us wanting more. Just as tasty was the Chicken Taouk (unsurprisingly one of the outlet's hottest items). Rolled up in the same light, airy bread, I was delighted and surprised to discover how seamlessly the chunks of marinated chicken breast meat melded with the creamy coleslaw and pungent garlic sauce. French fries and pickles lent unexpected crunch to the overall ensemble. Flanked by two semi al-fresco seating terraces on each side, Al Amar Express can seat up to 80 diners. One of them is known as the Chicha corner; much favoured by a constant stream of Middle Eastern tourists especially during Happy Hours (3 pm to 8 pm) since they get 25% discount on chicha (also known as shisha - a toweirng hookah pipe used for smoking flavoured tobacco). Syrupy and studded with pine nuts, Jellab is an enticing date juice drink that you should try. The Laban Ayran, a rich, salty and tangy yoghurt drink similar to Indian lassi, is more of an acquired taste. Coffee aficionados would love the smooth and strong Lebanese coffee that leave one with quite a buzz. Gotta satisfy your sweet tooth? Fret not. There are Creme Caramel, Cheese Cake and puddings but we were happy to settle for some home-made ice cream. Pistachio tops my list for the cool treat comes speckled with bits of pistachios. The vanilla and chocolate variants are rich and smooth while the strawberry is redolent with real fruit flavour; akin to a fine sorbet. The Al Amar group also offers outside catering services so if you're looking for exotic Lebanese or Middle Eastern food to tempt guests, give Ralph and his team a call. Al Amar Express is located on the ground floor of Fahrenheit 88, Jalan Bukit Bintang, Kuala Lumpur. For reservations, call 03 2141 3814. Further information can be obtained from www.al-amar.com or its Facebook page "Al Amar Lebanese Cuisine". Since eyes are the windows to our soul, it makes sense that our precious peepers should be adorned with equally well-made eyewear. These days, nobody bats an eyelid when it comes to wearing glasses...unlike in the old days when you're considered dorky for being a four-eyed git! In fact donning a pair of spectacles is even considered cool especially if you have a pair or two in bold, eye-catching coloured frames! 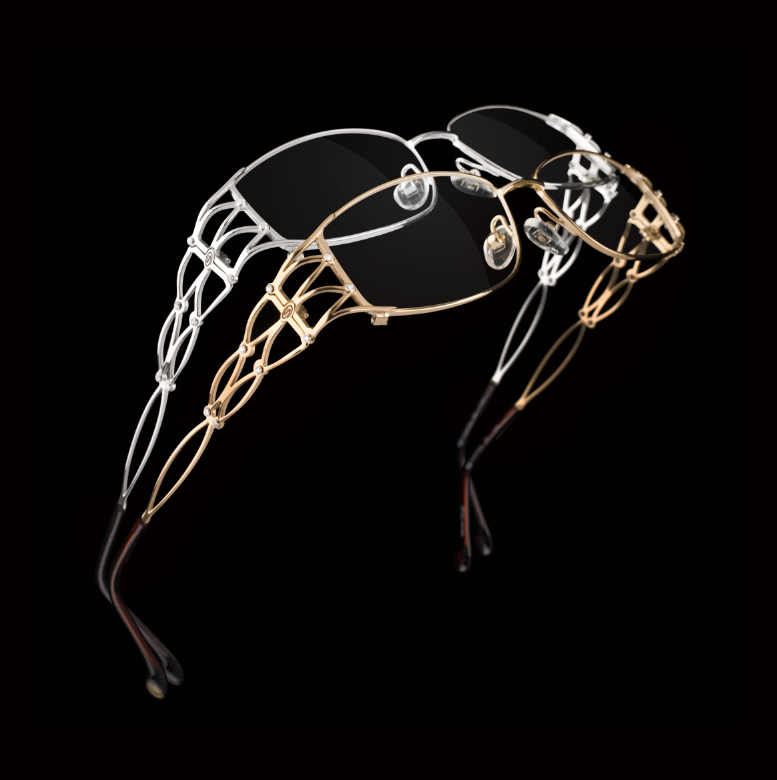 Obviously Stepper - one of Germany's leading eyewear brand has noticed this growing trend and stepped up to offer bespectacled local and Asian fashion plates greater and more vibrant choices with the launch of Stepper Exclusive and Pantone Universe eyewear lines. According to the brand's founder, Hans Stepper, "Stepper has actually been in the Malaysian market for the last five years. Although our past designs have been mostly focused on the European market, we're now eyeing the vibrant Asian market. 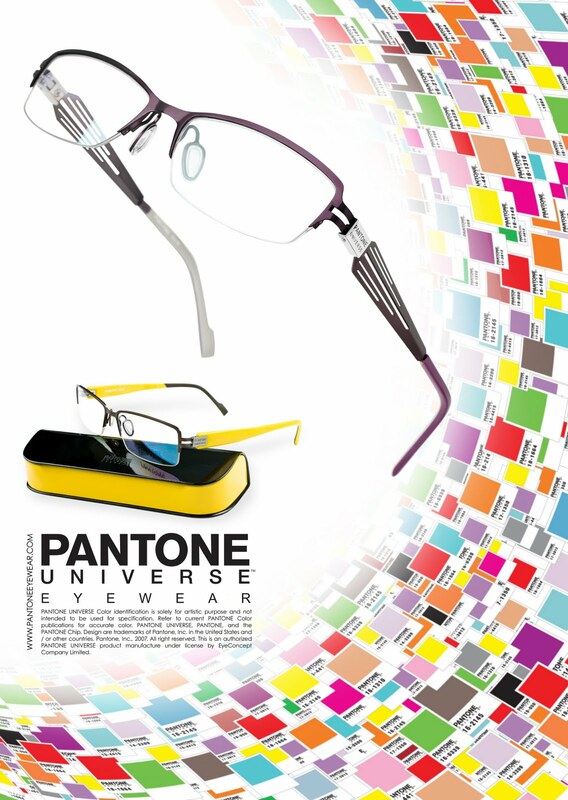 That's where our newest range of trendy Pantone Universe Eyewear fit in; to appeal to a younger and more fashionable crowd." Recently unveiled with much fanfare at Viva Home, the Stepper launch party even drew the attention of local celebrities such as supermodel Amber Chia, former beauty queen Levy Li, models Emily Lim and Kelly Jagan, and local actors Owen Yap, Zoey Rahman, Alan Yun and Isaac Ong. 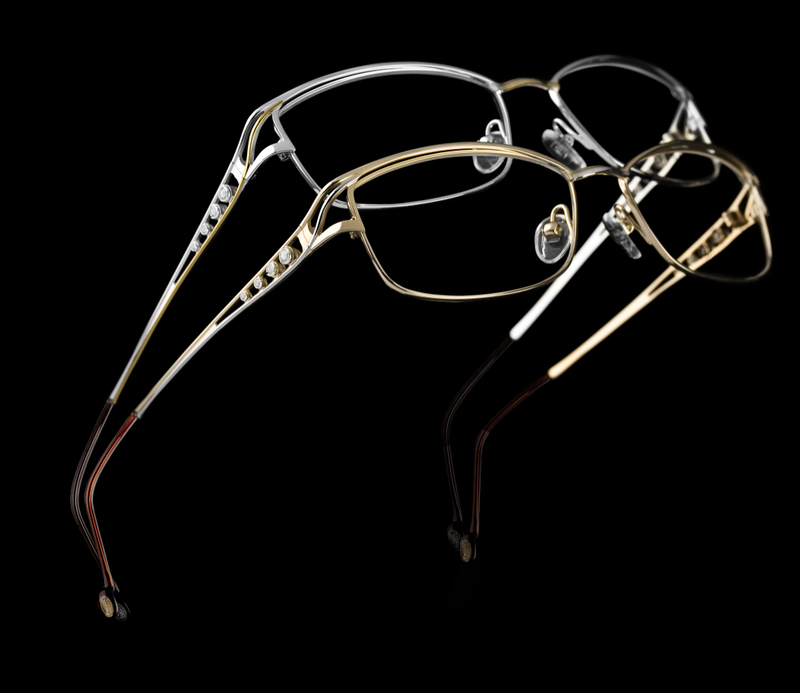 Stepper Exclusive is conceived for those who prefer elegant yet stylish eyewear that boasts exclusivity and superb craftsmanship. 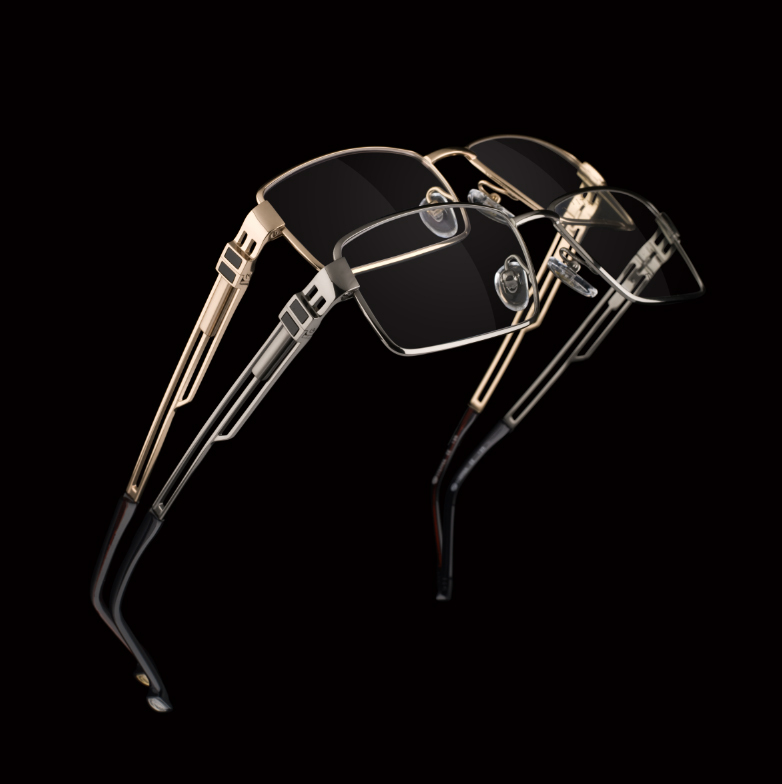 Dressier and ideal for evening wear, the range comes in bold, classic designs; rendered in discreet rhodium, ruthenium and assorted gold hues with textured surfaces, refined finishings and embellishments of crystal zirconium and other semiprecious stones. Stepper Exclusive is aimed at the middle to upper market segment with prices starting from RM1500 onwards. 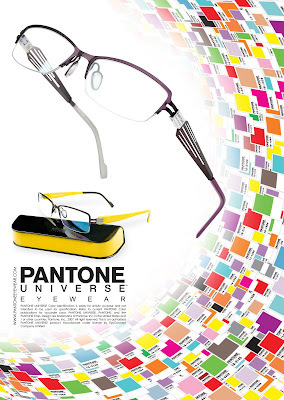 Trendsetters should feast their eyes on Pantone Universe Eyewear that features exchangeable temples of different materials in a multitude of colours with minimalist, super-elastic stainless steel fronts. Setting its sight on the youthful segment, the collection is priced between RM400-RM600. "Our eyewear designs are culled from two European eyewear shows annually," said Stepper. "The first May show is held in Milan while the September/October seasonal show is held in Paris. This year, lilac is the 'it' colour but for next year, red-orange are forecasted to be the hues of choice." Stepper's best tip? "Wearers should always select warm or cool colours to complement their own skin tones."